Jazz has emerged as the only bidder for the auction of Next Generation Mobile Services (NGMS) (3G/4G) spectrum and will get it at base price of $295 million, we have checked with sources. Ufone, Telenor and Zong are not participating in the spectrum auction and the government has also failed in attracting any new operator to the market. Pakistan Telecommunication Authority had announced that it will hold spectrum auction on May 24, 2017. The deadline for submission of applications was May 17, 2017 and only Jazz submitted the application. The spectrum included in the NGMSA comprises of 10 MHz of paired spectrum in the 1800 MHz band, however, exact lot details will be finalized later as per the re-farming plan. As per the Information Memorandum (IM), in case where bidding is not required due to single bidder, applicant that submitted a pre-bid offer supported by a legit pre-bid deposit will be awarded the license for use of spectrum. The government, however, reserves the right to withhold the spectrum for a future auction or award it as deemed appropriate. It must be mentioned here that Jazz opted for new spectrum and is in favor of disposing off Warid spectrum that it got through acquisition. It maybe recalled that Warid’s spectrum is expiring in 2019. With this, Ufone — as we thought it could participate in the auction — is left with limited options in the long run by not participating in the bid. PTA has officially confirmed that it has received one bid till the deadline of 17th May (1600 hrs) for a 10 MHz paired slot in 1800 MHz. A statement issued by the regulator said that bid was placed by Jazz. PTA said that it will now evaluate the bid as per IM and if it is found to have met all required conditions the bid will be declared successful. Jazz — if termed successful bidder — will have two options for payment i.e all payment (USD 295 Million) made upfront, or 50 percent payment can be made upfront and remaining 50 percent in 5 equal annual installments with one year LIBOR plus 3%. In addition successful bidder will also pay 10% tax on the auction winning price to FBR which comes to 29.5 USD Million. It may be noted that this is the third NGMS auction held so far since 2014 and a total of USD 1.98 Billion have been earned for the national exchequer through these spectrum auctions. 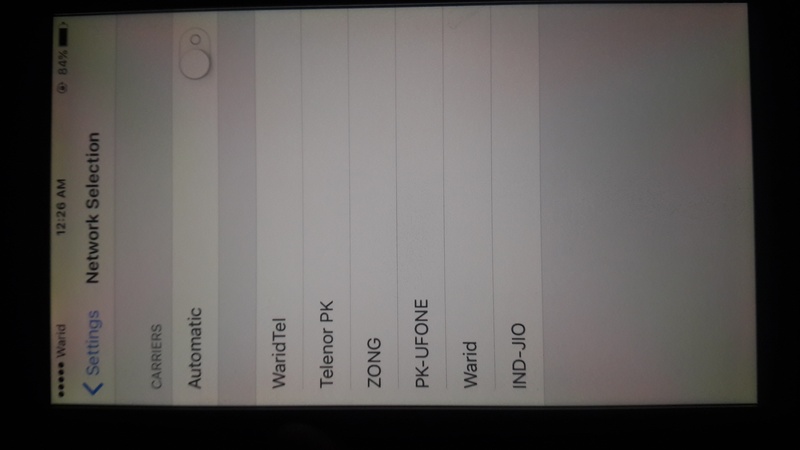 3G service still unavailable on most of the areas and city …………….4G still far way……Except Metrolpol Cities. What??? Amazing news. Didn’t expect that from Jazz. So Jazz is not going to renew Warid’d spectrum in 2019 and will get 10 MHz straight chunk of 1800 MHz now instead off 8.8 MHz of 1800 and 4.8 MHz of 900 on same price 2 years later. Good decision. Zafara Bhai kesi tabeat ha ? Phoolon k jesi hoi ha ya nhi abi ! See now. Propakistani has updated the article and Jazz is clearly not going to renew Warid spectrum. So Jazz and Zong will become even in terms of total spectrum in 2019. Keep in mind that Zong is using 15 MHz 4G at most places but after 2019 Jazz wouldn’t able to use more than 10 MHz 4G unless compromising 2G. Yes it was obvious for me. Zafar Bhai is Telenor launching 4G on its 1800 MHz band? Because I am getting Telenor 4G signals on my Huwaei y6 || which doesn’t support Telenor 850 MHz band. Same here. My set doesn’t support 850 mhz but receiving 4g signals. Yes telenor is refarming it’s 1800Mhz spectrum and using the freed spectrum to launch 4G in certain areas..
Telenor has launched 4G on 1800 MHz by refarming 3 MHz of its spectrum in Karachi and Raw/Isl. Don’t know about other areas. Why just 3Mhz? They have 8.8 Mhz of 1800 mhz band. 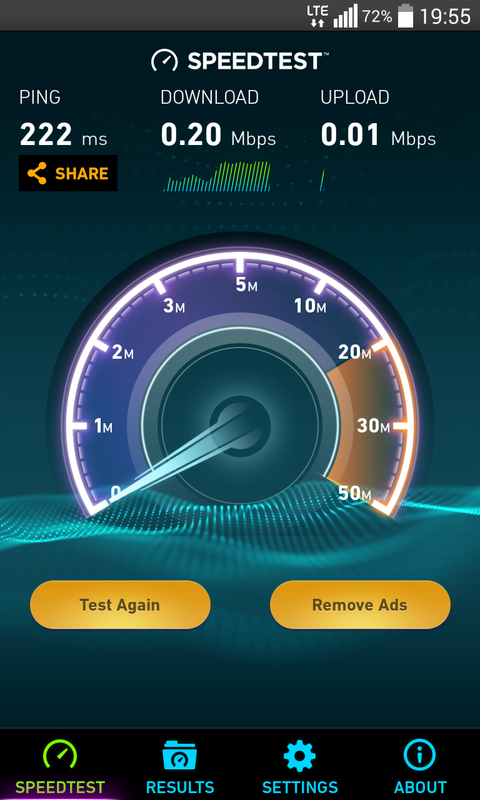 Btw Telenor 3G speed has quite improved in Rwp/Isl.One will get constant speed of 6Mbps in peek times. Exactly! Telenor has improved a lot. I am getting constant speed between 5-6 Mbps (peak hours) and 9-13 Mbps (off-peak hours) and that too at different locations in different cities. what do you mean same price? price will increase in 2 years. Warid bought license on same price in 2004. It wil get renew on same price. Jazz & Warid Only ??? Sahi Kehte Hai Jazz Pakistan Number Data Network ! Ufone isn’t going to participate anytime soon. They have just missed another chance/opportunity. It will be possible only after appropriate decision by AJK Government because it is an autonomous region. May your statement RIP, badar sb. Wasn’t SCOM ready to launch 3G/4G in AJK and Gilgit Baltistan? it seems that legibility of your birth is also disputed. it’s too late for lunch. more like dinner time now. Expected particularly Ufone to go for this one, they’ll bleed even more customers in the coming months. Sad. So now Ufone going to be a part of some one’s new dream? And by acquiring Ufone Zong will surpass Telenor and will become 2nd largest cellular operator. Telenor should buy Ufone as they will have additional 5 Mhz in 2100 MHz(total 10 mhz of 3G),6 Mhz in 1800 MHz(Telenor’s 8.8 MHz + Ufone’s 6Mhz=14.8 MHz) which will solve congestion problem on their network. Zong and Telenor both are in race to buy Ufone. But probably Zong is in talks with Ufone already. Ufone is focusing on its expansion in Baluchistan through USF projects, they already got Chaghi, Awaran/lasbella lot and will get Dera bugti too. Thats why they are refusing offers of sellout. Telenor is strong in northern areas and recently they got USF project of Kohistan that will cover areas from Khanpur (Texila) to Gilgit. Quality of telenor network going downday by day due to low quality ZTE equipment, but it is competing other telcos with its 3G coverage in northrn areas specially. Zafar bhai https://uploads.disquscdn.com/images/6fe03146060f2406e3795ce6556fcc092ddab6e30e52f6f341538f5d1bd5cac4.png now may be this will not happen again ????? That is not true. 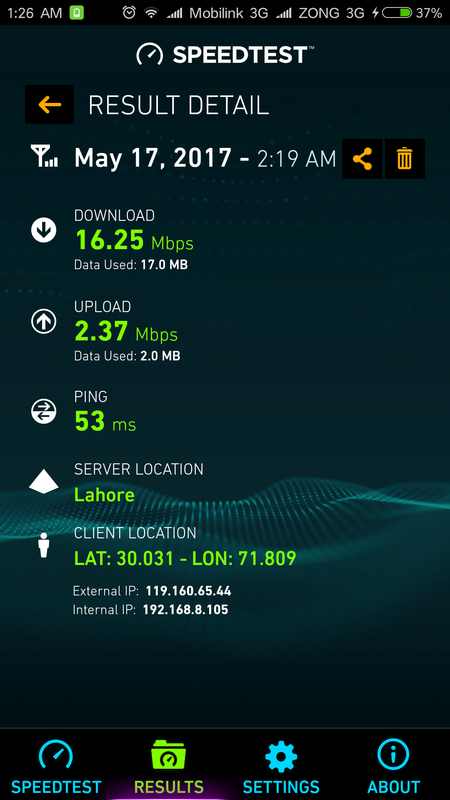 Since last month signal strength and voice quality is a little improved in Lahore. But before that, jazz was the worst cellular network when it comes to voice quality. Hearing a lot about possible Ufone acquisition by Zong. Even a knowledgeable person working at a top notch position said so. Can any body please shed light on it? So in 2019 jazz customers will face service degradation. Wow 3g ki kiya he phr? Aur phone konsa he? @@disqus_f4KOfxsOH9:disqus What is the price of renewal of Warid’s GSM and 1800 Mhz band which will expire in 2019? Ufone is its own biggest enemy. Their 3g service is okay but the setup.process of packages is so pathetic. Once you subscribe, they keep on renewing it even if you try to unsubscribe. I had to call helpline to get rid of their bloody package. Also.they charge you for checking remaining mbs. Like wtf man! Moreover they don’t use ussd codes so the whole process is done by oldschool sms. They better collect their s*** together or they are on their way out of Pakistan. So Ufone Jub se Estalat k pass gi hai. almost all telcos are running at a loss so your rant is not based on factual reality. Whether jazz renewed its warid lisence or not , still it has 2 years in hand with that warid spectrum . Till then jazz can provide 4g on 20mhz . 10mhz from old spectrum and 10mhz from upcoming spectrum .